Through our next releases we will be re-discovering Springline Records, one of the most underrated (according to our humble opinion) independent reggae and dub labels from the UK. Springline Records has been operational from 2003 until 2012, releasing music on vinyl, on audio tapes and later in digital format. With artists coming mainly coming from the UK underground, the style of the label was strongly influenced by the Jamaican roots music of the 70s with a sound very kin to that of Lee ‘Scratch’ Perry’s Black Ark studio. All this happened at the time when Dubophonic was just starting its own musical adventure in 2013. We don’t know if it was meant to be, if a higher force controls everything and connects everything together, but thanks to Gibsy Rhodes, owner of Springline Records, we got our hands on some crucial tunes found forgotten on a hard disc which was saved from destruction. Ruff takes, dubplates, alternative cuts, demos and a few unreleased works; a true treasure to our ears and great material to resurrect a label, which we consider to be the European counterpart of Black Ark studios. 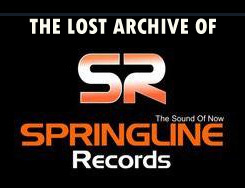 We will be sharing this treasure with you (starting next month) through a series of releases entitled “The lost archive of Springline Records”. More info very soon ... but you can start googling up names like The Manor, Creation Rockers, Yabass, Foshan Roots or David Powell Experience .... rootikal and dub vibrations in fine style and fashion! Enjoy a little appetizer from the things to come.